You would be hard pressed to find a souvenir as perfect as sake to commemorate your time in Japan. Nihonshu, or the wine of Japan, is steeped in history, having been brewed here for over 2,000 years. For a simple beverage made up of only 4 ingredients- rice, water, yeast, and koji- sake comes in a startling array of flavors, representative of different regions and seasonal events. If you’ve decided to pick up some sake as a keepsake of your travels, here are 5 things you need to know. The first thing to know while shopping for sake is not to ask for sake. What many Westerners think of as sake is actually nihonshu, or the wine of Japan- sake just means “alcohol,” including spirits, beer, and wine, so you end up in a confusing standoff if you ask a shopkeeper for sake. There are 40,000 brands of sake being produced by about 1251 breweries within Japan. While nihonshu literally means the wine of Japan, it’s fermented in a process similar to beer. Because of the alcohol content, it won’t expire, but it will taste best within 6 months to a year of its production date. Each region has its own specialty and flavor- in general, nihonshu distilled in the North tends to be cleaner and dryer, while sweeter and savory flavors tend to be more common in the South. These regional differences allow you to tour Japan in your cup to find one you like! Even with all the regional differences, nihonshu can be divided into seven main types, using three classifications : aroma, body, and after-taste. Full-bodied has an umami flavor profile, making it pair nicely with savory dishes, while a lighter body tastes, well, lighter. A fruity aroma, called Ginjo-ka, can have a light banana or apple scent, while Junmai will not have these scents. A long after-taste will linger. You can mix and match which attributes you like best. When sake was originally brewed several thousand years ago, a village would gather to chew steamed rice and spit it into a communal pot for fermenting! The process now is very different. The first step to brewing sake is polishing the rice. This process removes fat and proteins from the grain, giving it a crisper flavor. The percentage listed on the bottle refers to the Seimai Buai, or Rice Polishing Ratio, the percentage of the grain left after polishing- for example, 80% refers to 80% remaining. The lower the percentage, the clearer and crisper the flavor, (and the more expensive) while the higher percentages have a richer and savory umami flavor. Distilled alcohol can be added to balance the taste. Sake is delicate, and it’s important to store your bottles correctly. A few hours stored improperly can ruin your new nihonshu. 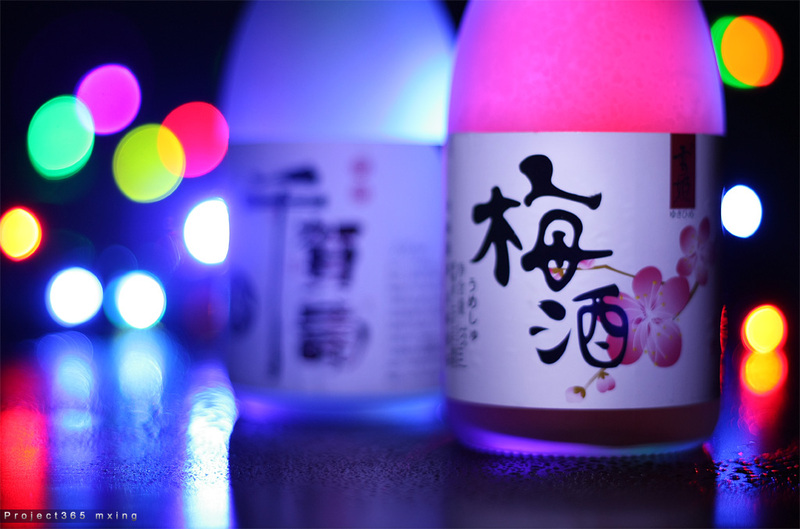 Sake is typically bottled in dark colored glass, like green or blue to protect it from light. In addition to light and temperature, sake can be sensitive to vibration-- sediment should be gently stirred, not shaken. Unopened pasteurized sake can be stored in any cool and dry place, like a cellar or a basement. Store it in the fridge once you have opened it, or if it is unpasteurized. You can drink sake hot, cold, or at room temperature. There is a Japanese expression that “Sake doesn’t get into fights with food.” Any meal that would be enhanced by wine or beer has a sake pairing that will complement the meal. The Japanese custom is to never pour your own glass, but to let others pour for you and you do the same for your friends. The unique and rich history of nihonshu is a great way to share the memories you made in Japan.